Supreme Court Justice, speaking at security convention, joins long list of public calls from high-profile politicians for Pollard's release. Supreme Court Justice Elyakim Rubinstein became the latest voice for the release of Jonathan Pollard last Wednesday, in a panel discussion held at the Institute for National Security Studies (INSS). The panel discussion, entitled "Legality and Legitimacy," included esteemed legal advocate Alan Dershowitz, who Rubinstein praised for his work on the Pollard case. "He was an early critic of the harsh sentencing of Jonathan Pollard, in a period when few Jews or Jewish organizations would have said anything," he related. "They wouldn't speak of the guilt, only of the 'sentencing'." Rubinstein also provided his perspective of Pollard's arrest. "He was detained, as you know, at the gates of our embassy," he explained. "I was in charge of the embassy and I was told ex post facto by security that this happened, and then I was called to the administration and all hell broke loose." Rubinstein held that in the 28 years since Pollard's arrest, US-Israel relations have never been the same. He called for an end to the prolonged imprisonment. 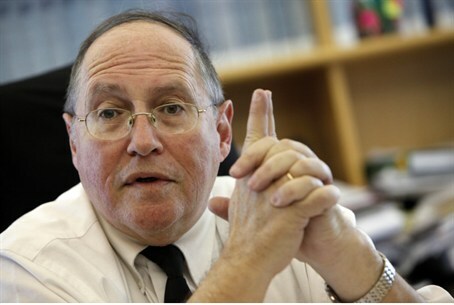 "Israel apologizes for the mistakes of its people - big mistakes," he stated. "Pollard has apologized, paid his dues. It's time [. . .], already, to pardon him." Efforts to attain Pollard's release have stepped up in the past several months. Several high-profile politicians, including former UN ambassador and close US Presidential advisor Bill Richardson and ex-minister Rafi Eitan have made public calls for an end to the injustice. Pollard was arrested on spying allegations in 1985 by the FBI and imprisoned ever since. Experts have noted that the alleged spy has been detained for longer than any other convicted spy on record, and rumors have persisted that he was originally supposed to be held for a limit of 10 years.